Something that has been bothering me the past 2 days was a conversation I was listening to from another teacher. They were talking about applied level classes and the conversation turned shocking super fast. There are so many great teachers doing amazing work but when you hear something like this it is horrible. The teacher was discussing how dissections in applied level classes are not worth doing as the kids will tear apart the specimens and not learn and therefore will not be doing dissections at all. The teacher also mentioned that it is just easier to have overheads and worksheets to get them in their seats. Furthermore they mentioned that they should not have applied level kids in the nice classroom because they will ruin it. I couldn’t hide the look of shock but decided not to take part in the conversation. Applied level students may not be doctors, chemists, researchers but maybe they will! Who knows!!! They may become inspired, go back and take academic level and go into university, or go into college science and work in a lab that cures cancer. How can we turn our back on any students? It is sickening. To have success in the applied level courses the best thing is labs and hands on activities which gets the students thinking and excited about what they are doing. Yes worksheets are used sometimes but to use that as a main method of teaching is not good practice. Have them use technology and get them doing something interesting as if you assume they will ruin everything and not learn then they probably will! An example of an awesome activity is have the students use QR code creators and have them use it in the science class, for example make one QR code for each element of the periodic table and get them to print them and arrange them in a periodic table. 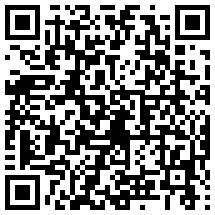 http://qrcode.kaywa.com/ is a free generator and the students can type up to 250 words and it works!